Embassy Network - The Red Victorian Events - Red Victorian Lecture: "How to be an Anti-capitalist for the 21st Century"
Red Victorian Lecture: "How To Be An Anti-Capitalist For The 21st Century"
This week we are excited to bring you Professor Erik Olin Wright, University of Wisconsin. 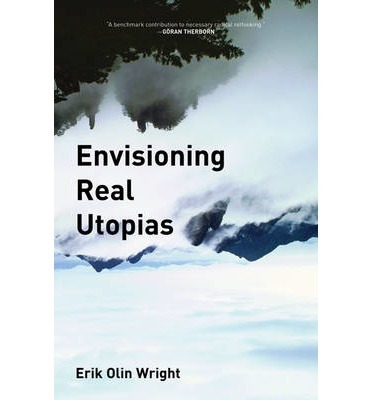 Erik is the author of Envisioning Real Utopias, and will be talking to us on the theme of How to be an anticapitalist in the 21st century. While capitalism has become more destructive both to the lives of people and the health of the environment, it seems to most people an unalterable force of nature. Social democratic hopes of taming capitalism by neutralizing its harmful effects through decisive state regulations have been undermined by the globalization and financialization of capital. Revolutionary ambitions of smashing capitalism through a ruptural seizure of state power, a coercive dissolution of capitalist institutions and their replacement by an emancipatory alternative, lack credibility. Are these the only logics of transformation? There may be a different route that points beyond capitalism: eroding capitalism by building emancipatory alternatives to capitalism in the spaces and cracks within capitalist economies and struggling to defend and expand those spaces. Come and join us for a lively discussion. Doors at 7, talk begins at 7.30pm.